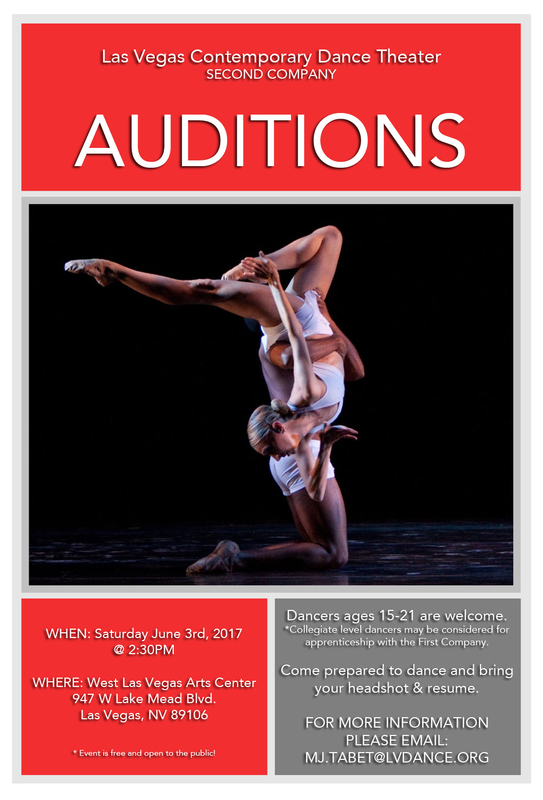 The Las Vegas Contemporary Dance Theater will host an open audition for pre-professional and collegiate level students (ages 15-21) desiring to enroll in LVCDT’s Second Company and Conservatory. Individuals auditioning will be taught combinations in classical Ballet & Horton technique, in conjunction with learning company repertoire. Collegiate level students may be considered for apprenticeship with the First Company.